Why a purple cow? Simple explanation: the birthday boy's nick name in high school was purple cow. Making this cake was simple, I baked 2 cakes. One 8" and one 13"x9". Then, I traced around my 8" cake pan on a piece of cardboard. On the inside of my cardboard circle, I drew my own template for the head. Also on cardboard, I drew templates for the ears and feet. Next, I cut out the pieces of cardboard, placed them on the cooled 13"x9" cake and used a serrated knife with care to carve out the pieces. Then, it was just a matter of assembling (using buttercream as glue), coloring the icing, and piping stars galore with a #21 tip. I left some room in the back of the cake circle to pipe the tail into the age of the purple cow. 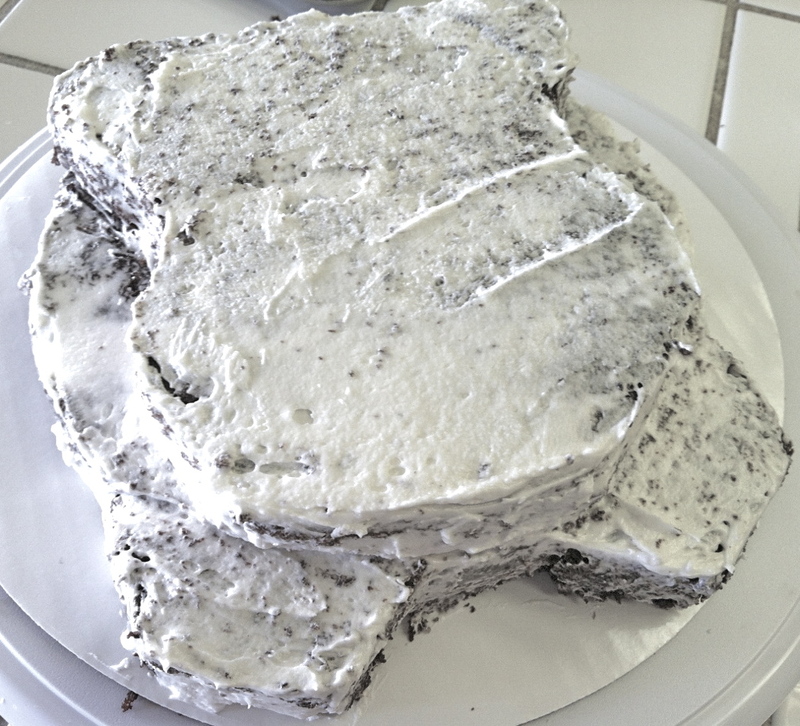 This cake was also made during a day that my desert gave me 100+ degree weather, an enemy to buttercream+piping bags+my warm hands. This equation made it far more difficult to pipe than it should have been, but with a million trips to and from the fridge, I succeeded on making a cake in a sauna. 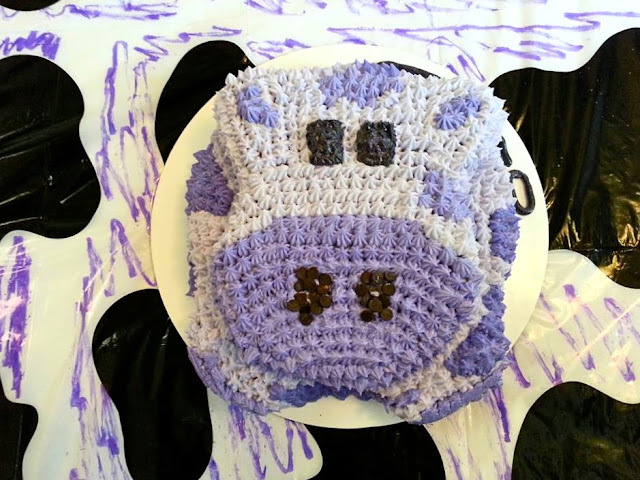 And ta-da, the purple cow cake was born.